I grew some of Joseph's dahlias a couple years ago and was very impressed with the size of the roots they made. What I didn't especially like is the size of the plants. They were at least four feet, some even taller and quite bushy, took up a whole lot of space in my little garden and for the whole season, they were still blooming when frost hit. 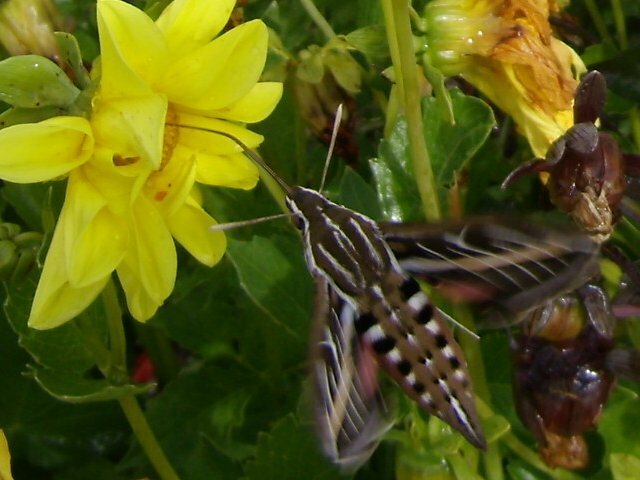 All the bees and other critters loved the flowers. 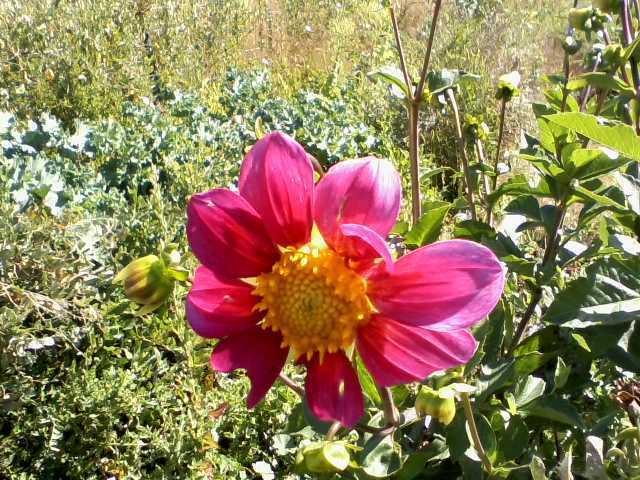 I didn't grow any last year but the woman had a dwarfish dahlia in one of her big flower pots and I kept an eye on it, it only got a couple feet tall at the most and didn't have any issues with side stems breaking or the whole plant lodging like some of the bigger ones did. I was surprised to see it also made decent sized roots, not as big as Joseph's but plenty big enough to be usable. It was a fancy one with single yellow flowers and purple foliage. I didn't save any of its seeds or roots cause it had a patent or PVP and I didn't what to mess with it. This winter I noticed Baker Creek had a collection of short single flower dahlias they said are edible so I bought a pack. Then another seed company sent me a free gift which turned out to be another pack of a similar, maybe the same as Baker Creek's. The free one actually had a lot more seeds. So the are all single flowers which is my preference and I'm going to grow them all together and then save seeds primarily form those with shorter plants. Hopefully I can arrive at a happy mix up of shorter plants with single flowers and roots big enough even though they aren't as big as they might be with bigger plants. A couple other flowers I want to learn more about about as far as food value are hostas and daylilies. We have a lot of both of these and we have started experimenting with eating them. The are not all the same as far as flavor but the hostas easily volunteer from seed and the daylilies don't volunteer but they do make seeds and they are not hard to start, although slow to take off. Anyway both of these along with the dahlias are getting added to my breeding projects and supper menu. The hostas and lilies, being hardy self increasing perennials are especially interesting for a lazy gardener such as myself. Finding reliably hardy dahlias would be a great bonus and I have had in the past had some occasionally overwinter so I think it might be possible. Does anyone have experience or advice on breeding and cooking these plants? I grew Dahlias last year for the first time. The insects loved the single flowered ones, the plants did not need much attention and they look stunning even from a distance. I took some seed and have about 20 seedlings now. I'm mostly experimenting with seed because the roots take up an awful lot of space in the root cellar. 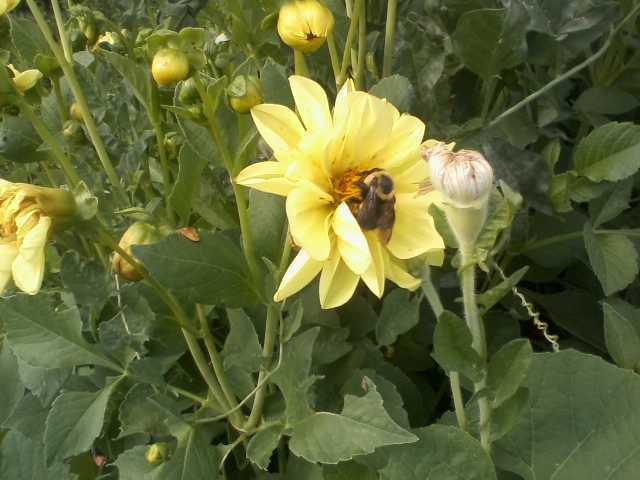 It's also a little bit too humid and cold there to be good dahlia conditions. It would be nice to just grow them from seed instead. I also like surprise flower colours, so I don't mind that they will look different each year. Cooking advice is a tough question... just eat potatoes instead? I had 6 varieties last year, tried all of them and none was a treat to eat. The varieties with the good tasting roots seem to be rare. I'll continue to taste test each new plant, but I'm not holding my breath for finding a good one. Just growing them for ornamental reasons atm. Dahlia merkii is said to be easy to cultivate as an annual but even as perennial if treated like other Dahlias. But it is only an ornamental. I didn't try the dahlia roots cooked or much at all really, just tasted a couple raw. I kinda liked them and yes reminiscent of water chestnuts with a little touch of pepper flavor. I left most of them in the ground to test for winter hardiness and none were but they made lots of seeds and apparently can grow quite large from seed, no real need to store or overwinter roots. I'v tried daylily flower buds both raw and sauteed in butter, pretty good both ways, the simple yellow ones are best. We have lots all around the yard, lots of days I could probably harvest pounds of them and then there are the giant patches of wild orange ones all around the neighborhood, too bad they don't taste as good. Dahlias I think offer the most fun for breeding. I read that they have odd genetics so very unpredictable as to what you will get from a cross. I’ve never noticed much correlation between size of a dahlia plant and the size of its tubers. 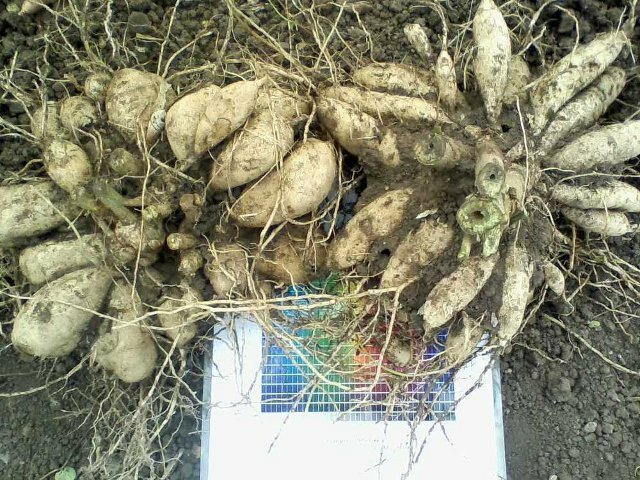 Some giant plants make quite small tubers, and some fairly small plants make rather large tubers. This would seem to bode well for breeding compact dahlias with well sized tubers. Many of the very best and most compact dahlias are patented vegetative varieties, but I think relatively few dwarf clonal dahlias are PVP, most are just patented and can be used for breeding. There are of course dwarf seed strains as well. I do know that some of the newer dwarf vegetative series have actually been bred to not form tubers, not all, but some are like this, Dahlightful series was bred for reduced tuber formation so you wouldn’t want to use that sort. Thanks! for the great info. Good to know size of roots and size of plants is not necessarily related. The seeds I have are Mignon mix. I looked that up and sounds like it just means they are single flowers and generally shorter plants, which is just what I want. Will be hard to select for the bigger roots since won't know that till after most seeds have been collected. I guess I'll have to tag the plants and save seeds by individual, then after seeing the roots save mostly seeds from those with larger roots for the next year. I'm a sucker for the flowers though, would be hard to discard a great one because it had inferior roots. Will also have to discourage the woman from buying and planting any others. Joseph, do you start your dahlias for transplant or direct seed them. When I grew them I started inside, they were three or four inches tall when set out but they sprouted very easily and grew fast, I'm thinking might be fine to just direct seed. At very least move the sprouting to a cold frame rather than inside. I have to admit that I am mostly taken by the flowers and I think the simple ones are far prettier than those big ugly ones the stores sell. Large tubers that can be used for food is a nice bonus. Storage is a bit of a problem for me as with anything else cause of our very small house so growing from seed is very attractive. Just need to select seed lines that have both the nice flowers and big tubers. I whine about lack of space but an entire winter heat bill of about $100 for electric and about one small pickup load of wood is kind nice. https://trueloveseeds.com/collections/dahlia-tubers Truelove Seeds has a pretty big selection of Dahlia tubers and it seems like they have a variety of flower types and colors that might be neat to breed with. I’ve never noticed much correlation between size of a dahlia plant and the size of its tubers. I have seen a very strong correlation between the size of the plant and the total yield, but only once I was a couple of generations into selection for root size. Ornamental dahlias haven't received any selection for root size, so they vary widely. You can get impressive yields from surprisingly small plants though. Perhaps best to correct myself to state that it ought to be possible to produce a dwarf dahlia with a quite reasonable tuber yield for the plant size. I’ve only grown ornamental lines, but have grown and dug more than a hundred different varieties of ornamentals. In general, larger plants do produce more volume of tubers, but a pretty fair percentage of giant plants are consistently shy tuber producers, while a reasonable number of dwarf plants make a lot of tubers. There seems to be enough variability in the ornamental lines at least to have something to work with straight away. I haven’t ever tried eating any of the dahlias I’ve grown! I'm not sure if this is true in other countries, but here when buying older varieties you can tell their root production by their shop priceing. The cheap varieties get many roots = lots to divide and sell, the expensive ones don't produce much to divide. New patented varieties are always expensive of course. I went for cheap varieties last year and can't complain about the size of the root clumps. Nice dense clumps, as big as the 30l pots they were in. Not sure how reliable that trait passes on in breeding though. The seedlings I got atm are at 2-3 true leaf pairs and all show signs of storage roots already. But I can't tell if that's indicating good root production or if that's just something all Dahlias do.